Project PEARLS launched the “Daily Soup Kitchen” in July 2015 to provide healthy meals to the most malnourished kids and to ensure that they do not go to school with empty stomachs. Our daily minimum budget to feed around 300 children is $160.00 or Php 7000 (Php 40 per child). The goal of building a Children’s Health Care Center is to provide free and quality health care services and free medicines that improve the lives of the children in the community. By giving them access to free medicines for simple illnesses such as dehydration, diarrhea, stomach flu, colds and coughs, pneumonia, wounds, skin irritation and infections, etc – we may be able to prevent serious illnesses and even children’s death. We sincerely thank Philippine Dental Association, Kalookan City Dental Chapter headed by dentist, Dr. Ariel for the continued support! We are always in need of volunteers and equipment. 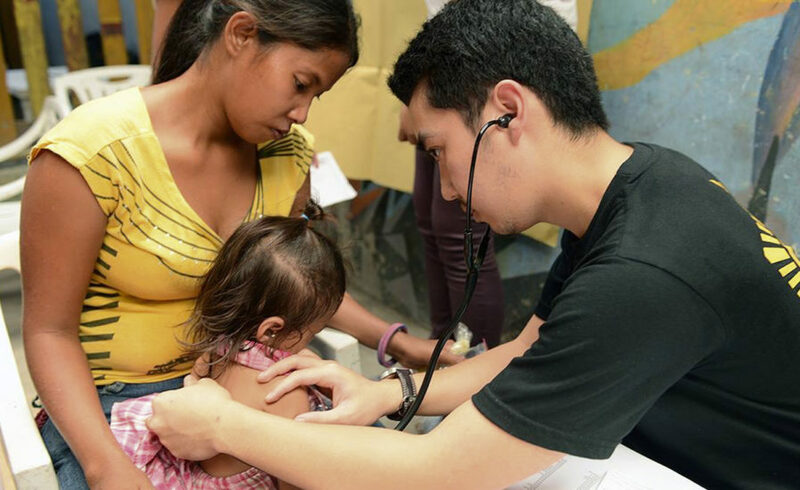 Our Medical Mission Program aims to provide preventive health care to the children. Living on a garbage dump site and next to charcoal factory, these children are very prone to different respiratory illnesses and skin diseases. We are always in need of volunteer doctors, nurses, health care practitioners.